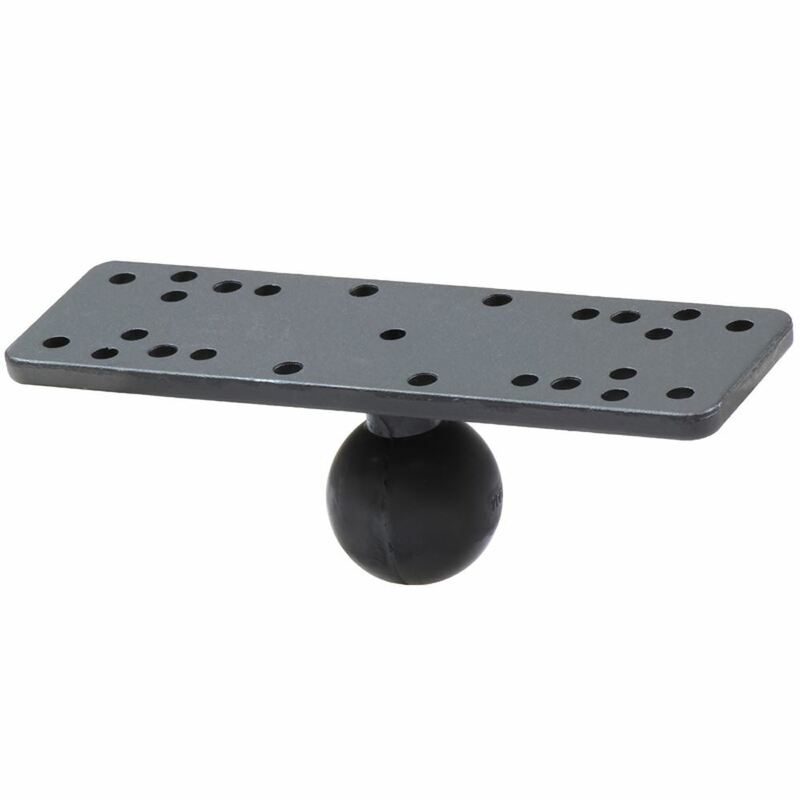 Get the RAM-111BU RAM 6.25" Universal Base with 1.5" Ball from Hummingbird Electronics' great range of RAM Mount Bases online. The 6.25" Universal Base with 1.5" Ball is the perfect addition to your set-up for your next adventure. The powder coated marine grade Aluminum base consists of a 1.5" diameter rubber ball connected at right angles to a flat 6.25 x 2" rectangular plate. The plate contains different combinations of pre-drilled holes which will match up to many electronic devices and mounts, including Marine GPS, CB Radios, Ham Radios, Gimbal Brackets and more.